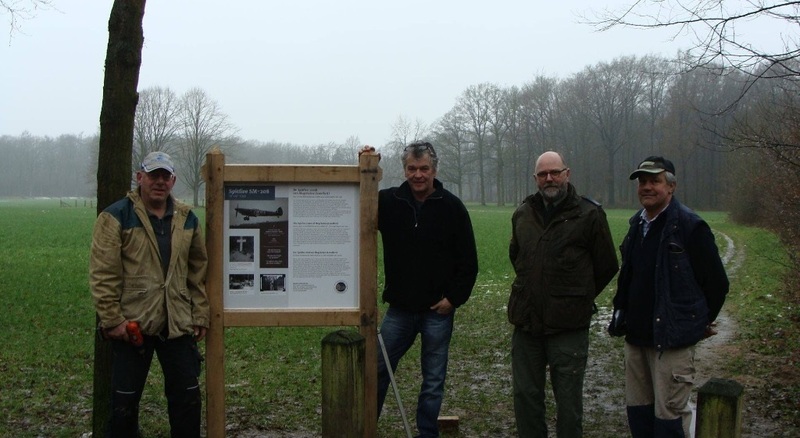 Some weeks ago Maarten Koudijs and Ronny Bosmann and some members of the Aircraft Research Group Achterhoek found these relics by a detector. 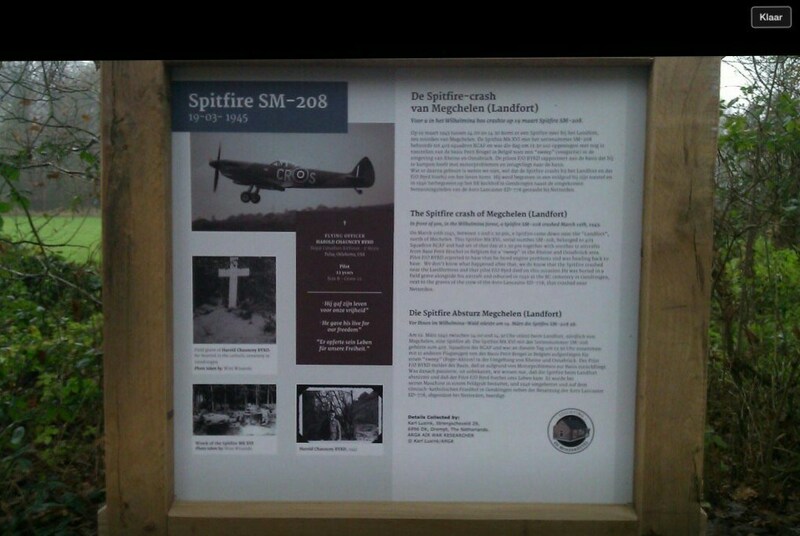 Spitfire SM-208. 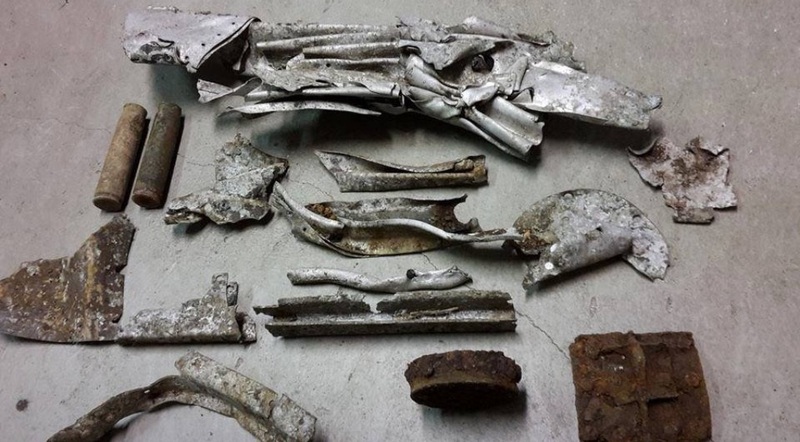 These parts are been preserved and keep saved for the community Megchelen as an remember to our liberators specially Hank Byrd who died 3 weeks before the Liberation of that town. 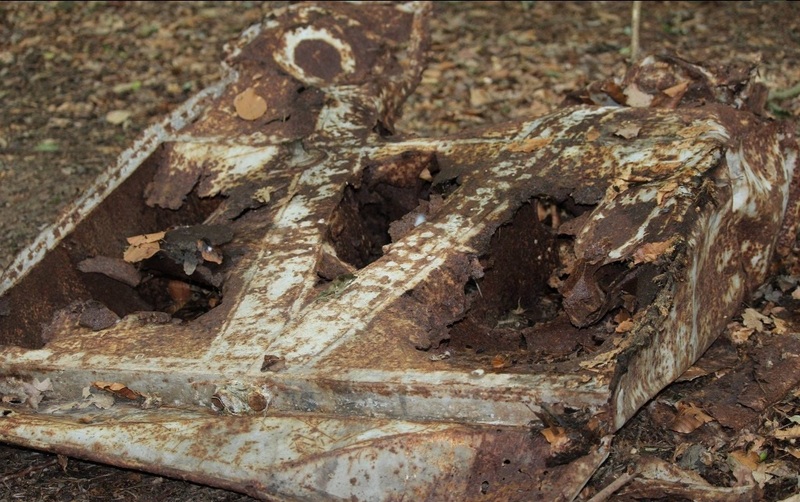 These photos are parts of the wing of Spitfire flown by Pilot Officer Hank Byrd who crashed on 19 March 1945 in Megchelen (Holland)‏. Who else remembered Hank Byrd? 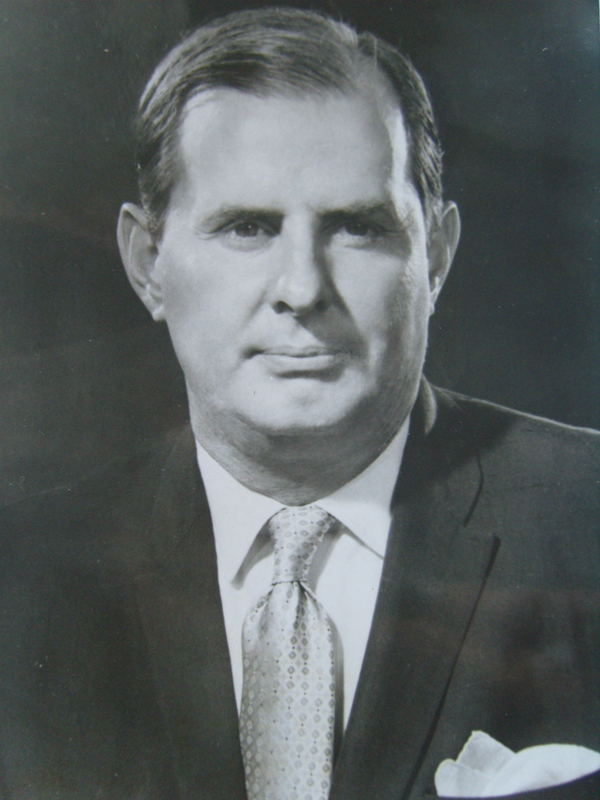 I have a really good photo of J. Claude Hebert from 1972 when he was president of Warnock Hersey International Limited. This is 6″x 4″ head and shoulders. He was, at that time living in Montreal and had 3 sons and daughter. 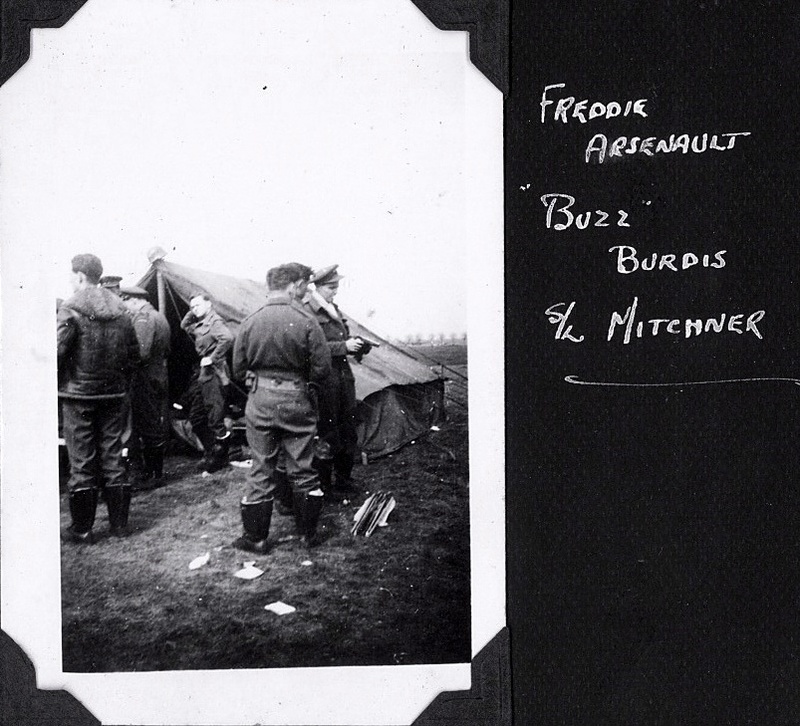 This is in an album created by my father whilst he was setting up a manufacturing company in the UK at that time. It comes with a brief history of Claude’s life from 1947 to 1972. I recently rediscovered it during a house clean up but didn’t appreciate the significance at the time i first saw this album as I was 11 years old at the time! I just knew him as a business colleague of my father. The Internet, at times, can be a wonderful place. I really wish I’d been older to know more about his exploits. I would be happy to forward this info on so please feel free to contact me. 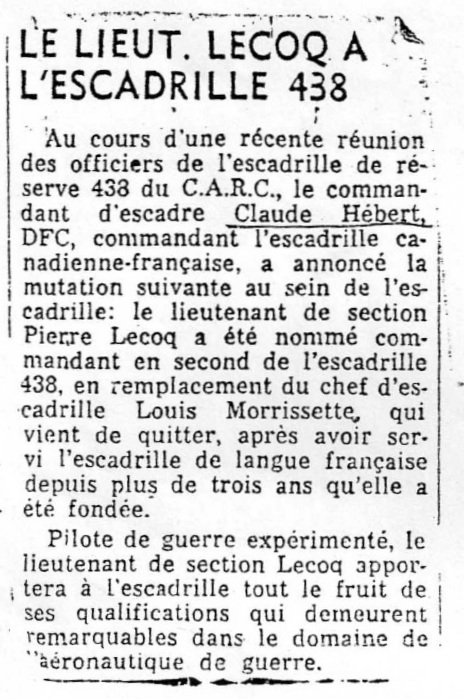 After the war Pierre Lecoq was in the reserve. 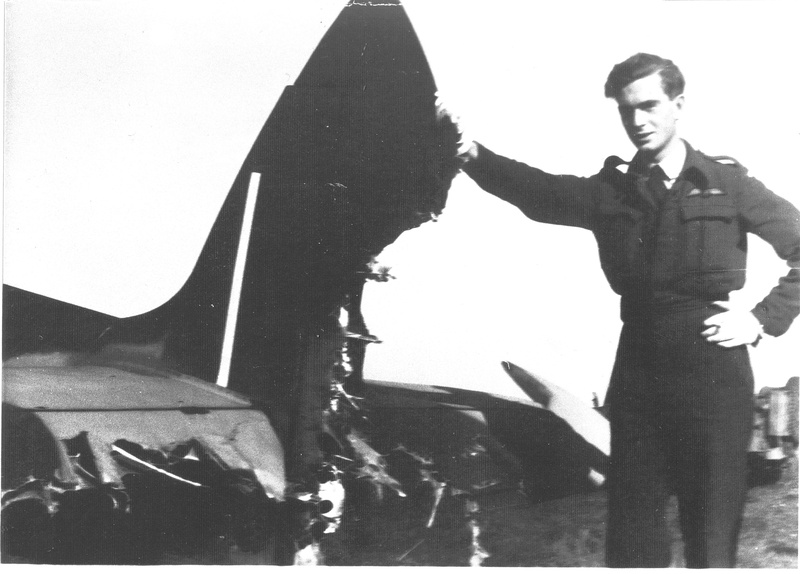 He became second in command with 438 Squadron serving under Wing Commander Claude Hébert DFC. He was replacing Louis Morrissette. 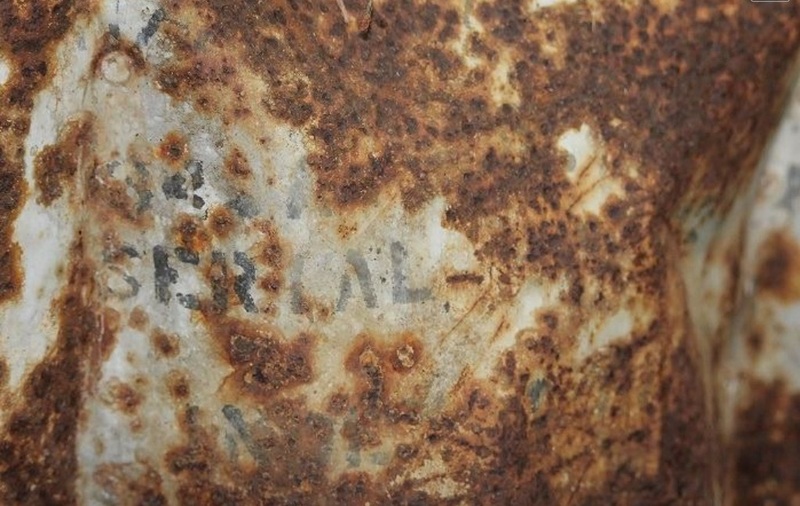 After the war it became No. 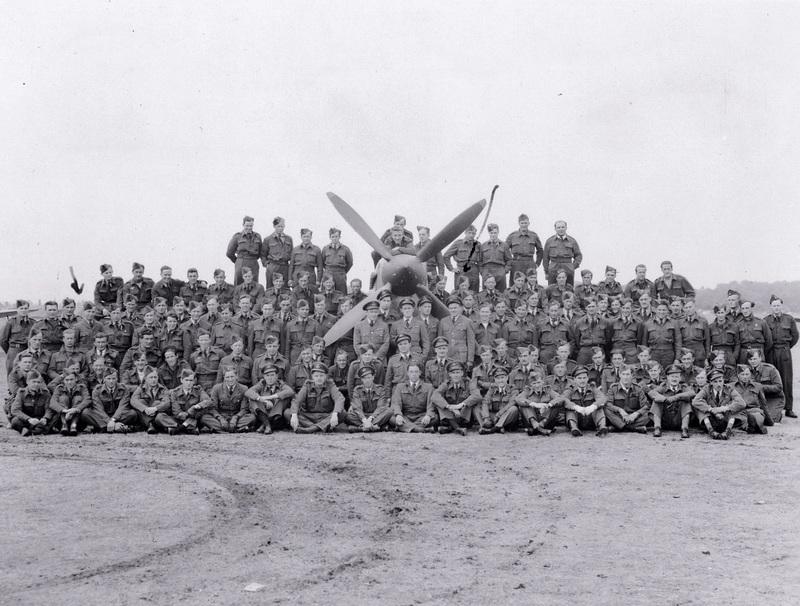 438 City of Montreal (F) Squadron (Reserve) and was equipped with Vampires and Sabres. 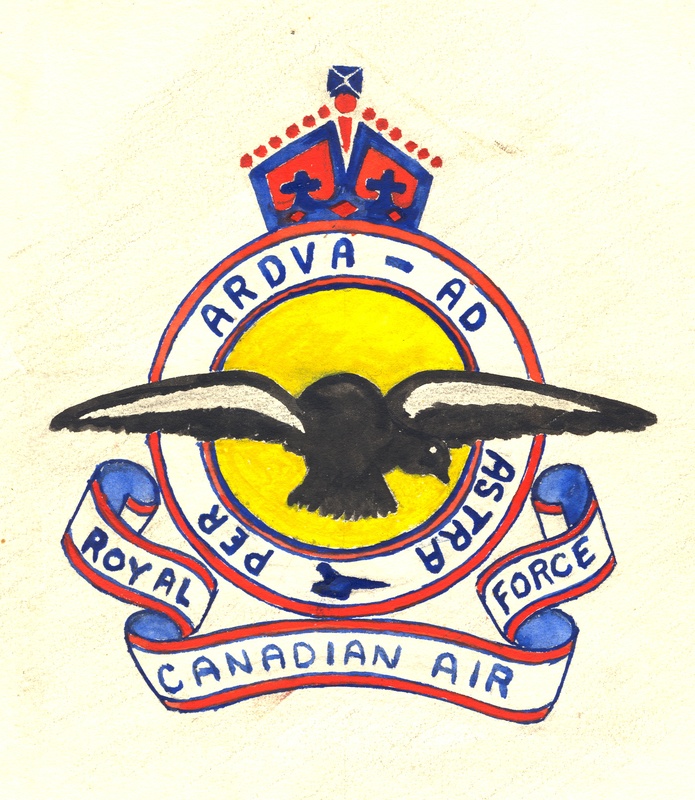 Reformed as an Air Reserve squadron at CFB Montreal the squadron flew the CSR-123 Otter and eventually the CH-136 Kiowa helicopter. In 1981 the squadron changed roles, becoming 438 Tactical Helicopter squadron and currently flies the CH-146 Griffon. 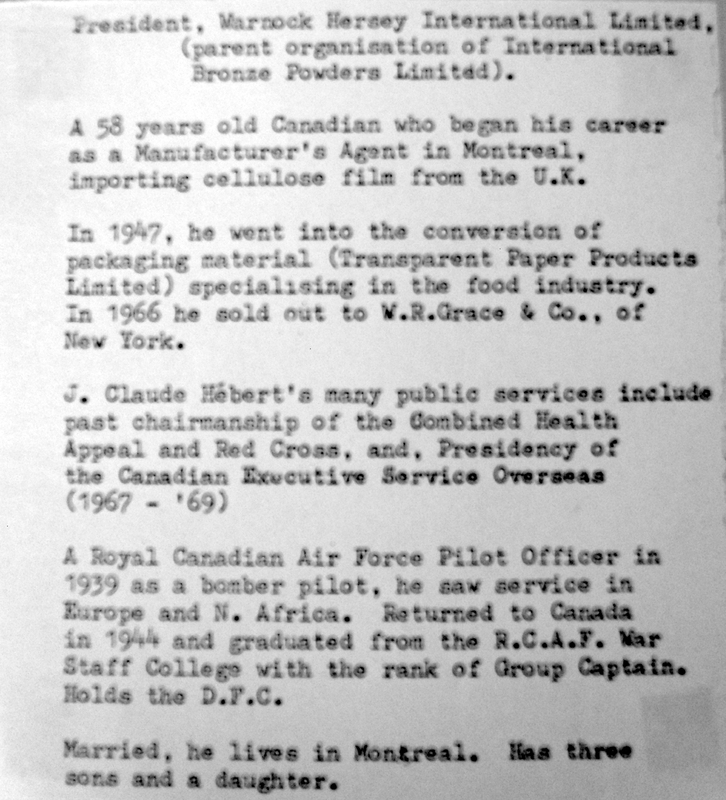 To be honest, I know nothing about Wing Commander Claude Hébert. But in September 2011 I knew nothing about Wally Dove. 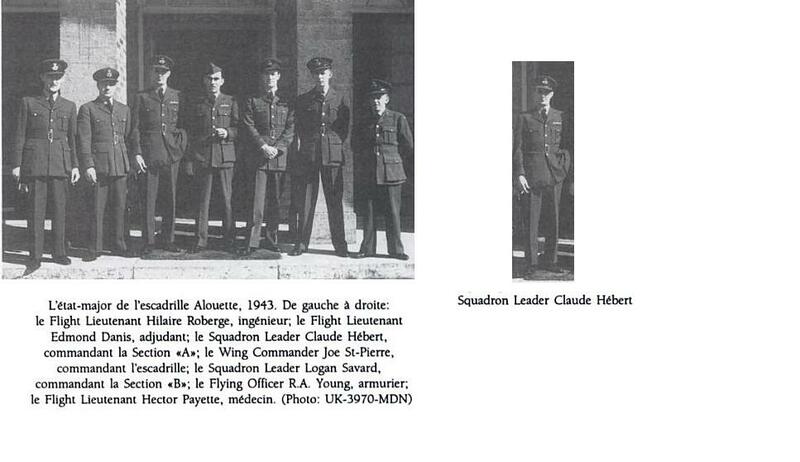 So who is Claude Hébert DFC…? 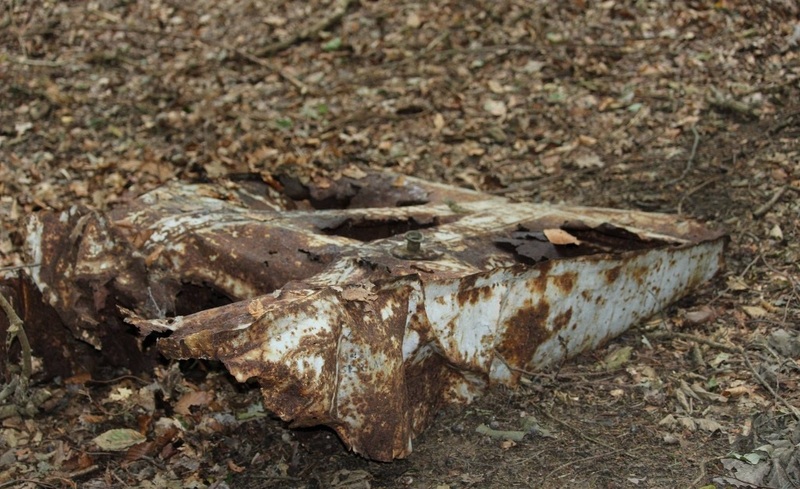 I found this on the Airforce site. 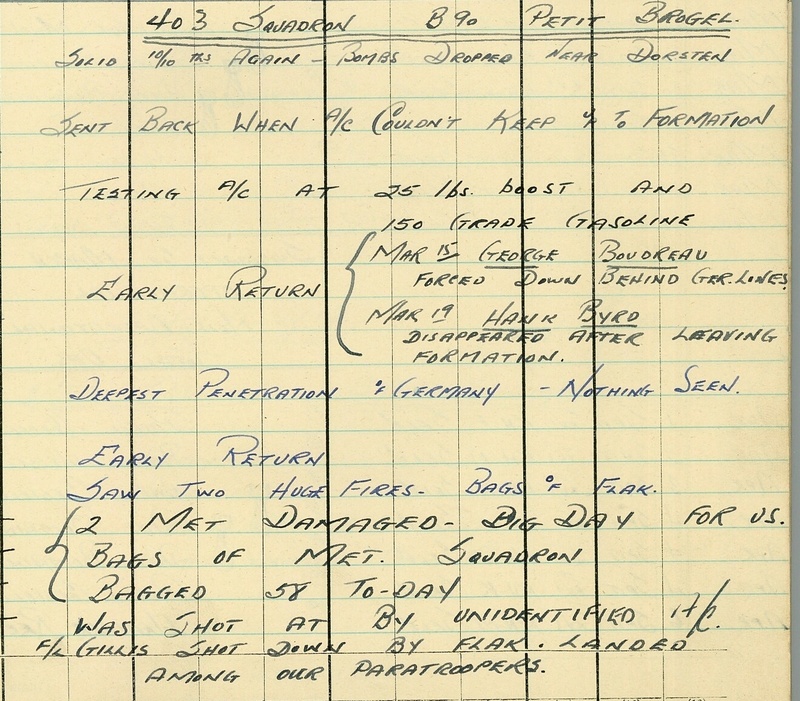 This officer has now completed thirty-nine night sorties on a variety of targets. He has carried out these attacks with consistent skill and courage. 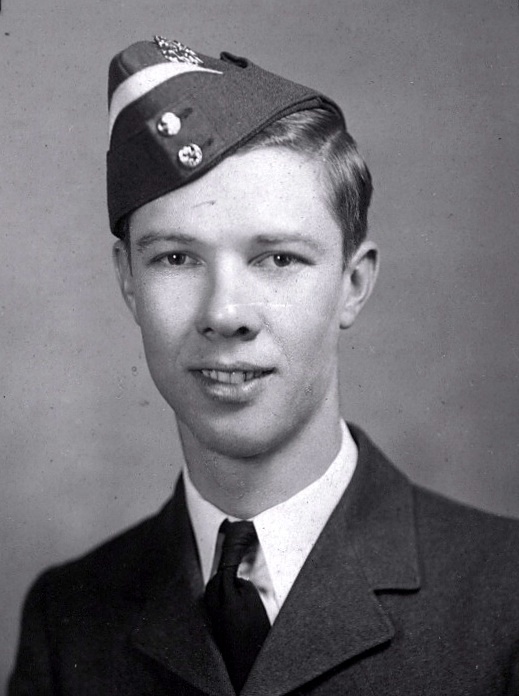 Squadron Leader Hebert has set an example of skilful pilotage, cool judgement and determination. 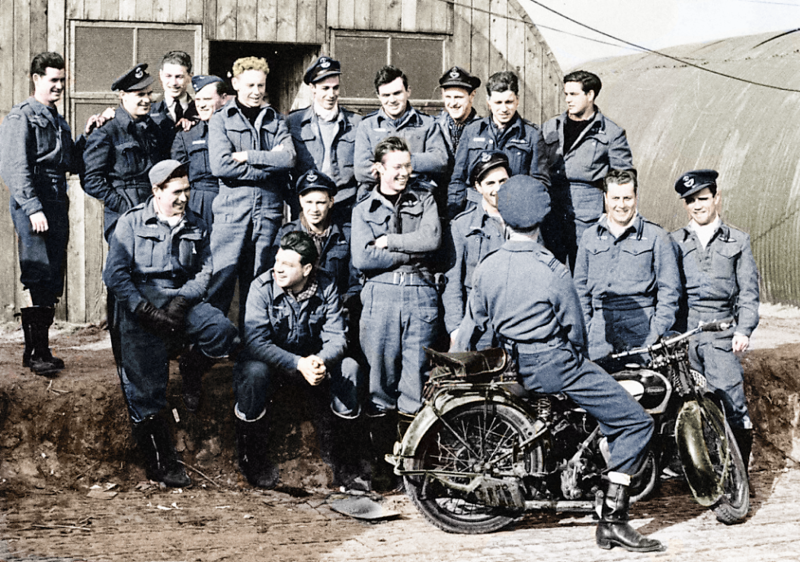 This, along with his cheerful confidence, has inspired a high standard of morale in his crew. 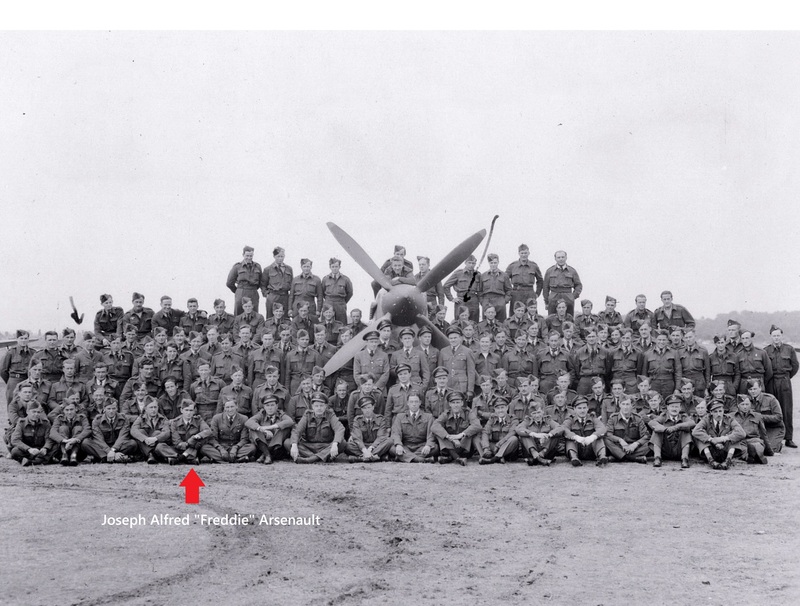 More about 438 during WWII. Wing Cdr. 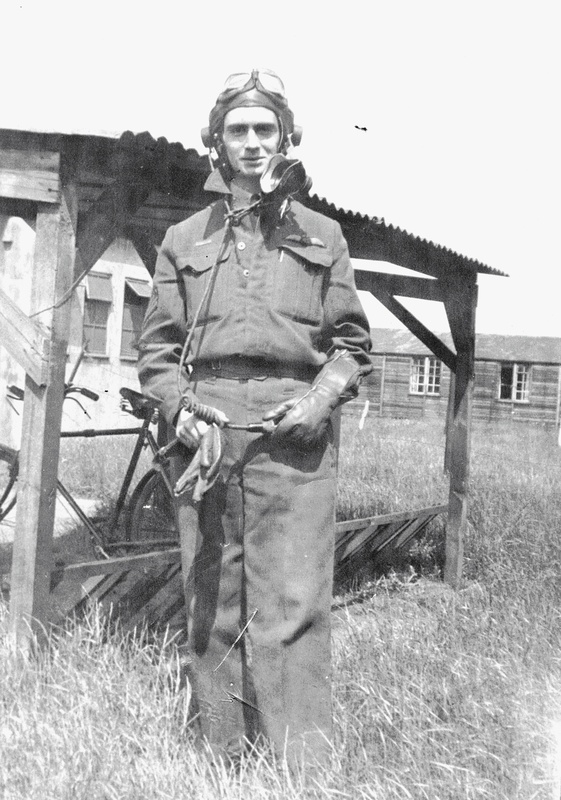 Claude Hebert, D.F.C., war-time flight commander in the famed “Alouette” bomber squadron, was the first officer commanding of the post-war No. 438. 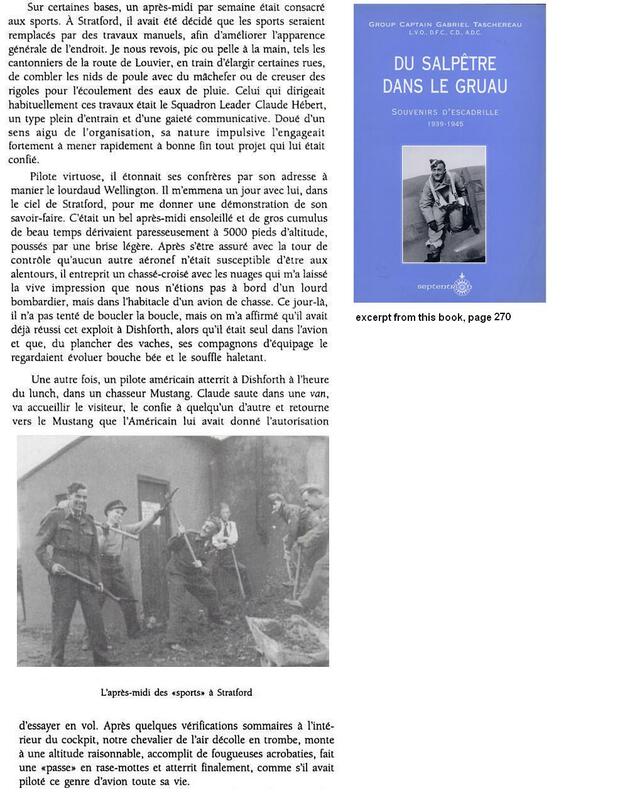 Gabriel Taschereau who wrote this book said that Claude Hébert was quite a man and a pilot. I don’t think there is a translation of that book. I will translate some part of it next time. 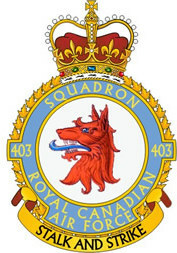 Posted in September 2011 when I knew very little about RCAF 403 Squadron. 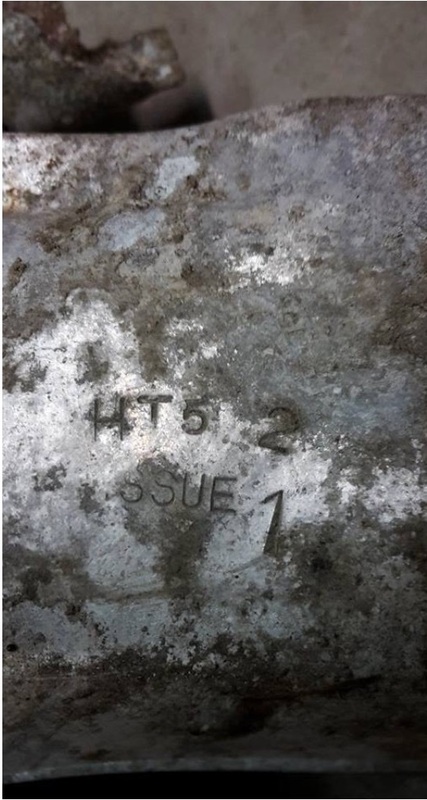 Since then relatives of pilots and ground crew have found this blog, and shared information, pictures, and stories. 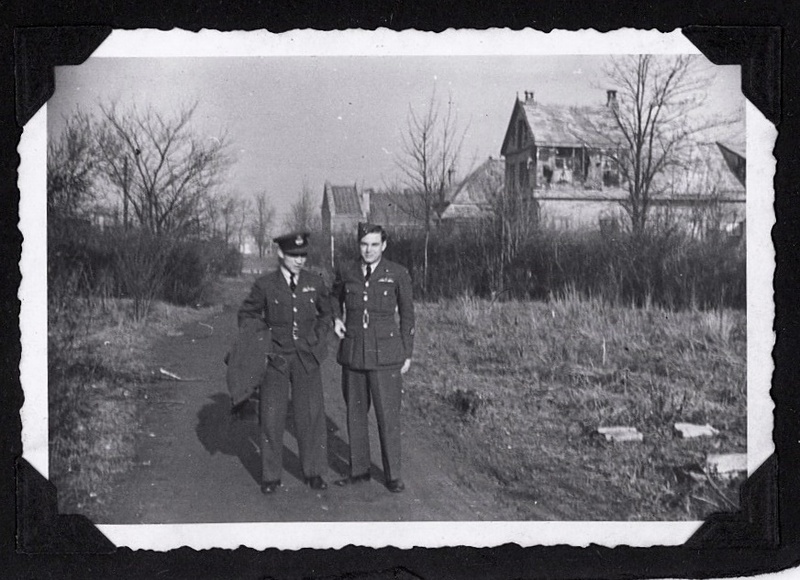 This is will be a blog mostly of pictures of the men who served with that RCAF Squadron. 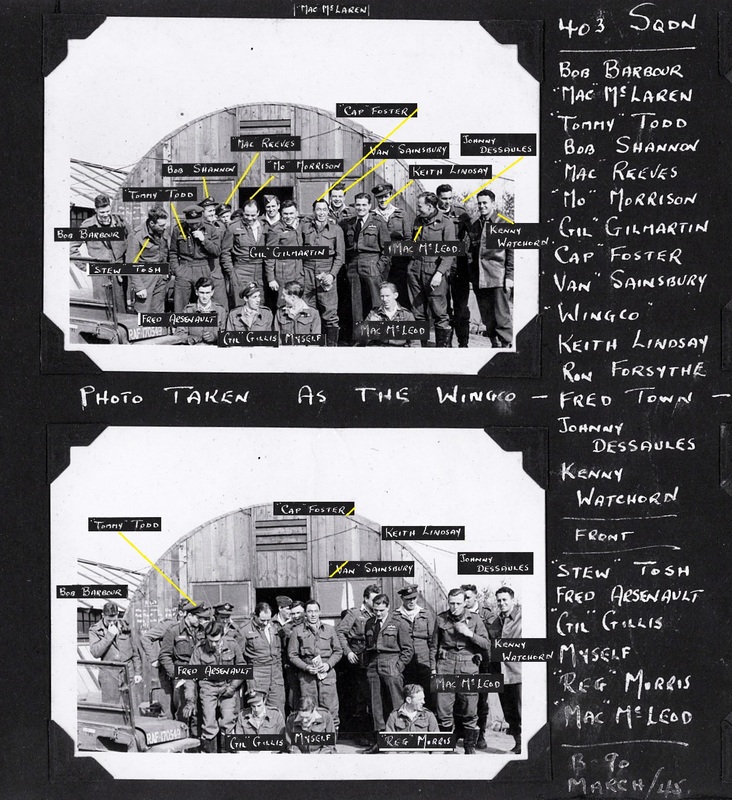 Most pictures belong to the grandson of one Canadian Spitfire pilot. 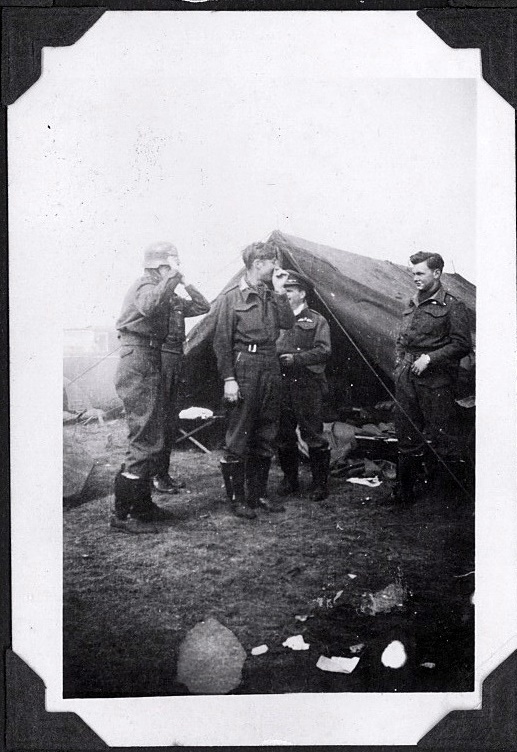 Some pictures have never been published before. Greg is willing to share them with everyone. So please visit this blog. 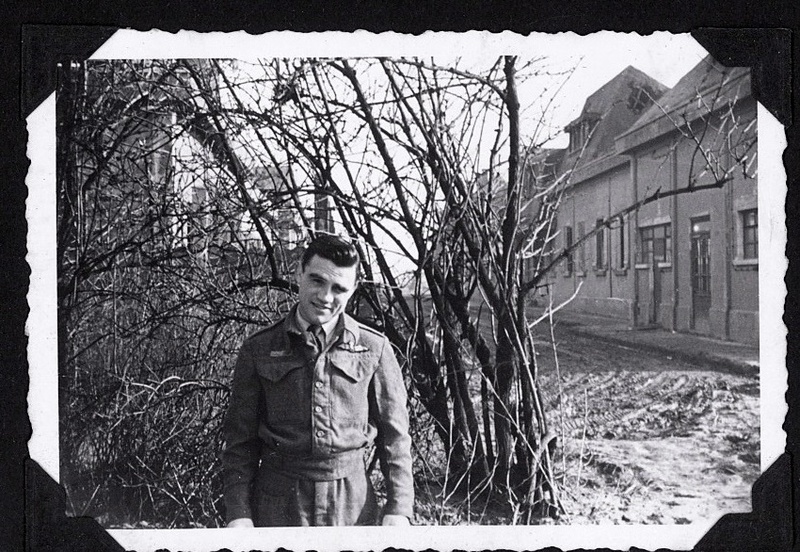 You won’t believe what collection of photos he has of his grandfather.